in 2002 due to tremendous growth and to better serve our clients. We've been developing web sites since 1996 and have developed and come across many solutions that we can customize for your company or organization. Our goal is to provide fast, personalized, and affordable web sites and service for any project ranging from the extremely large to the extremely small. 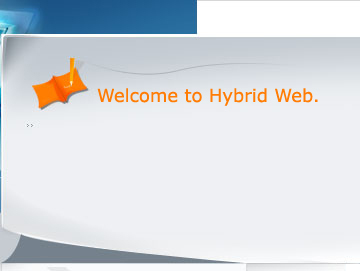 Hybrid Web, Inc's services include the planning, design, development, maintenance, and optimization of computer software, Internet applications, server development and mobile application development. In a nutshell, we will provide you with a web solution that will meet your objectives and budget and provide service in a straightforward manner in plain Engllish. Thank you for visiting our site, and we look forward to working with you on a project soon!